A transformational audio website of David's best talks, now searchable based on whatever topic you're interested in! All You have to do is type in a key word, phrase or topic and you will access a number of talks That Specifically address the very question on your heart. Learn how to stop managing anxiety and fear in order to heal them. This is a site rich website full of David Hoffmeister's non-dual and A Course in Miracles (ACIM) Teachings. Find Helpful links to David's YouTube channel, Spreaker (audio), writings, social media, music, websites, mind training programs, subscriptions , and much more. These resources can support your profound mind in the practical application of non-dual Teachings and ACIM. forty-five hours of MP3s and audio Nearly two hundred and fifty pages of written material. 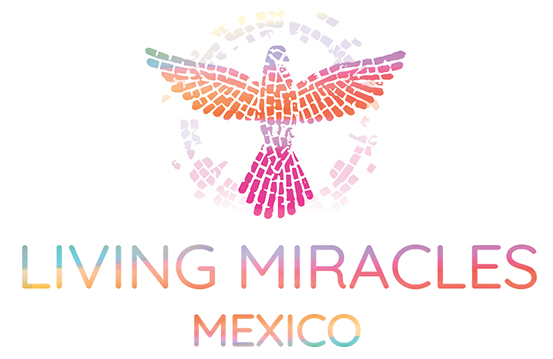 La Casa De Milagros to residential property is supported by the non-profit Foundation for the Awakening Mind and Living Miracles. Guests are dedicated to awakening and the practice of forgiveness as Taught in A Course in Miracles . Resources for the Awakening mind! Experience the practical application of the teachings of A Course in Miracles with David Hoffmeister in recorded sessions over many years with the Spirit pouring through. It's like being at a retreat without having to be at the retreat! There are many resources available and various ways to experience them including multi media programs, YouTubes, audios, books and more. This is a website that is rich in the most important wealth available, the riches of the Spirit. online community. Extend your gifts and talents and Receive support from Living Miracles in doing so! A comprehensive page on all things David Hoffmeister, from Facebook, Twitter to YouTubes and talks. With the Teachings, you'll be captivated by the various ways to stay connected and to be involved. A free MP3 collection of David Hoffmeister's non-dual / A Course in Miracles gatherings around the world. teachings Along With Q & A from David Hoffmeister's travels around the globe. Read about David Hoffmeister and his devoted friends, and get to know our overall community. resources, and teachers of Awakening Mind and Living Miracles worldwide. Spiritual centers are located in Pahoa, Hawaii, Kamas and Duchesne, Utah; and Chapala, Mexico. as the Movie Watcher's Guide to Enlightenment or our Mystical Mind Training Program (MMT). An online, searchable version of A Course in Miracles made available by the Living Miracles and Awakening Mind community! Living Miracles Discover our books, CDs, DVDs , and video downloads, as well as translated Teachings here. An introduction to the modern-day mystic and non-dual teacher David Hoffmeister, With news around the Awakening Mind overall community. David Hoffmeister's YouTube channel With Hundreds of inspiring video on Helpful topics related to A Course in Miracles . topics to help you on your path to salvation awakening from illusions. Come and see all that we are Involved With around the world. Advanced non-dual Teachings from A Course in Miracles and a study aid for anyone to go deeper into the theories of A Course in Miracles . Our library contains approximately forty-five hours of MP3s and audio Nearly 250 pages of non-dual Teachings. The Official Movie Watcher's Guide to Enlightenment site! Here you'll find lists of movies That can be for enlightenment Helpful in your spiritual awakening. Read about the metaphysical and spiritual forgiveness non-dual themes of These movies. ACIM students, miracle-workers, and teachers of God experience inner peace. The Living Miracles Studio music label, our music, and the team shares That the purpose of awakening and sharing inspired songs. An in-depth view at non-dual teacher David Hoffmeister and his teachings over the years from around the world. the inspiration as the Spirit pours Through us via music, laughter, prayer, silence, poetry, and more. and the first non-dual / A Course in Miracles based monastery in the world. With A Course in Miracles Teachings, resources, readings, music, overall retreats, and events. and insights As They spend time doing the deep spiritual work That is pointed to in A Course in Miracles . Free PDF of David Hoffmeister's book, Unwind Your Mind (in Spanish). into publication and lovingly cared for and stewarded its distribution and subsequent translation into 25+ languages. Below is a list of many non-dual/A Course in Miracles websites where you may find additional inspiration and resources to help with your spiritual awakening!